PHOENIX (AP) — Phoenix police have detained nearly 30 people in connection with a suspected cockfighting ring. 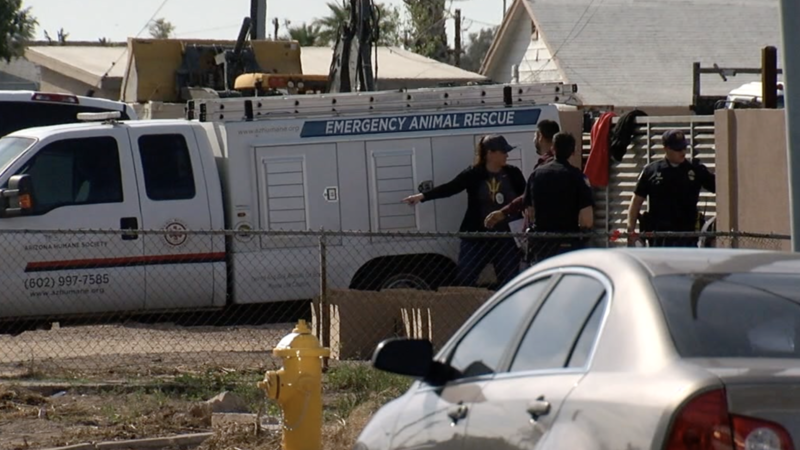 Authorities say investigators are questioning 27 people after officers searched a property Sunday on the city's west side and found at least 150 animals. Officers were called after woman reported her friend had been hurt in a rooster fight. The animals include roosters, hens, rabbits and dogs. Police say there were tools and cages that indicated that the roosters at least were for cockfighting. They say the owner of the property will likely face charges but others could as well. Arizona Humane Society officials confirmed they were summoned to the area to assist. They say the animals will be tested and then adopted or sent to farms.